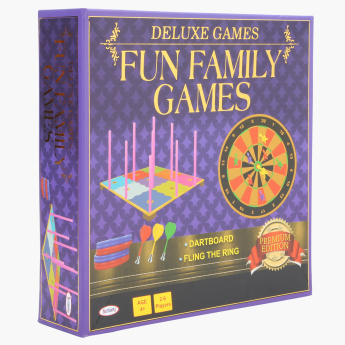 Pick this family game set and enjoy with the whole family doing different activities. 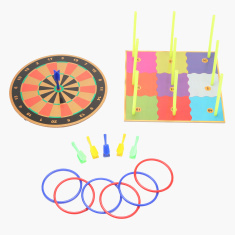 The set comes with a dart board with darts and flings the ring set that will enhance your little one's basic skills. Feature 3 : Helps kids develop basic skills of logical thinking, strategy planning, coordination etc.